"Misoa" was build in 1937, sold in 1955 as "Petro Mar". 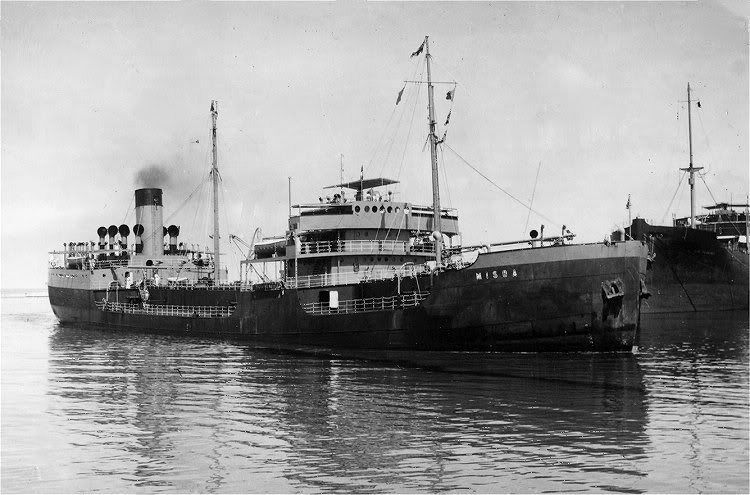 Sold again in 1957 as "Stanvac Riau", scrapped in 1962. 1941: Requisitioned by Admiralty and converted to a Tank landing Ship (F.117). 1955: Petro Mar (Maritima Aragua S.A., Venezuela). 1957: Stanvac Riau (Lennox Corp., Liberia (Standard Vacuum Oil Co.)). arrived 22.12.1962, work began 17.01.1963. The Miramar Ship Index for "MISOA"
Scrapped at Hong Kong 22.12.1962.